These Trademark Guidelines are prepared by the USA College Clay Target League (hereinafter referred to as “the Clay Target League “) and set out rules for teams, clubs, and other organizations participating in Clay Target League events who wish to use the Clay Target League trademarks, service marks, logos, or images (referred to generally as the “Clay Target League marks”). 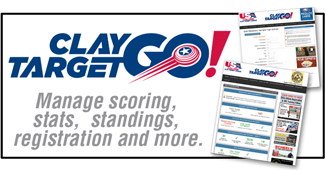 The Clay Target League marks include but are not limited to “USA College Clay Target League”, “USACCTL”, “TRUE TEAM”, “TRUE TEAM SCORING”, and Clay Target League logos. By using a Clay Target League mark, in whole or in part, you are acknowledging the rights of the Clay Target League in those marks as the sole owner of those mark and you are promising that you will not interfere with the Clay Target League’s rights. 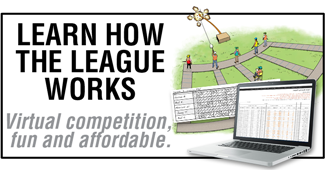 Your use is also an indication that you agree not to use the Clay Target League marks in a descriptive or generic way, and you agree not to challenge the Clay Target League rights in its marks, including but not limited to its trademark applications and registrations, on any grounds. Your use also indicates that you agree that you will not acquire any rights in the Clay Target League marks and that any goodwill generated by your use of the Clay Target League marks inures solely to the benefit of the Clay Target League. Except for the limited rights to use, as expressly permitted under these guidelines, no other rights of any kind are granted hereunder, by implication or otherwise. 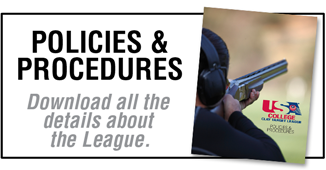 If you have any questions regarding these guidelines, please talk to your Clay Target League representative or submit your query to the Clay Target League through our website contact page. 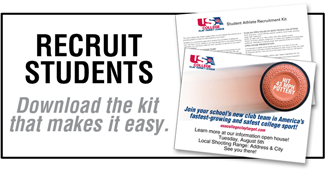 You may include on your communications or webpages a link to the Clay Target League website at www.usacollegeclaytarget.com for the purpose of directing your visitors to the Clay Target League website, so long as the linking is not done in a manner that implies affiliation with, sponsorship by, or endorsement by the Clay Target League. 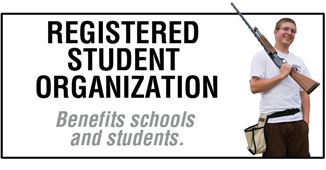 Click to download a high-res version.